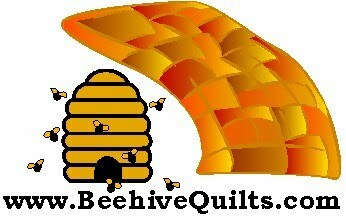 Okay I am just learning all that FaceBook is about, but I have started a FaceBook page for Beehive Quilts. 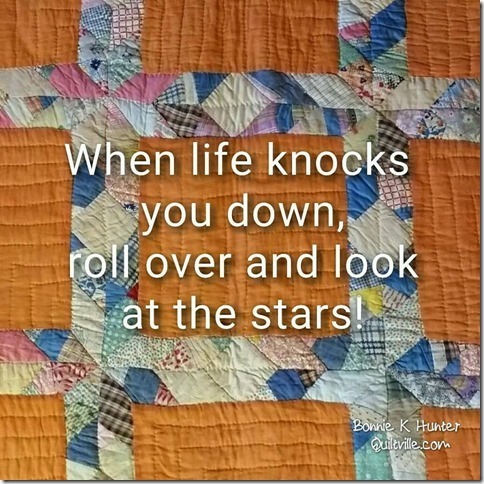 I hope you will all join me on that page and share ideas about quilt, what your projects are, pictures of your projects, frustrations and joys of quilting and anything else you so want to post. Just go to my FaceBook Badge on the lower right hand side of the blog site and click. If you are not a member of FaceBook, join. It is fun and you will find a lot of your friends and relatives are already there. If you are a member, become Beehive Quilts friend and join in. Before I opened my shop and finally learned how much yardage to purchase, I was always afraid I would run short on the binding fabric. So I just bought extra. I would go home knowing I had too much and then cut fewer strips than was needed. That was frustrating, as I would have to then cut another strip and piece it to the binding already sewed to the quilt. Ever done that yourself? Then I found the following information and started using it and advised others buying binding fabric how much to purchase. Easy. I hope this easy helpful fact helps you when purchasing and cutting your binding strips.